Anniversary photos! 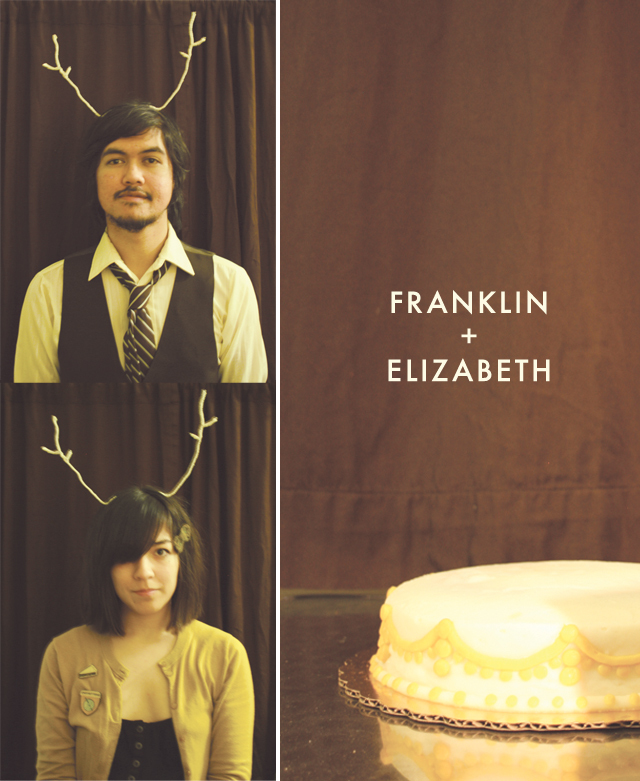 We wanted a way to remember our first anniversary night + celebratory cake eating, so we donned our antlers & took some photos. It was a good time. We just got back from our mini trip and it was SO NICE. We saw about 20 deer during our stay at Doe Bay Resort (which was aptly named!) and when we first drove up, I almost hit one! We're definitely going back, and regularly. It was a seriously relaxing weekend. If you live in Washington, and you're at least part hippie (in other words, you don't mind seeing lots of naked people in the sauna), then you must make the trip. It's awesome. PS: Neutral Milk Hotel is going on tour at the end of the year. If you live in one of the FEW places they've listed on their tour, then lucky you. THREE. 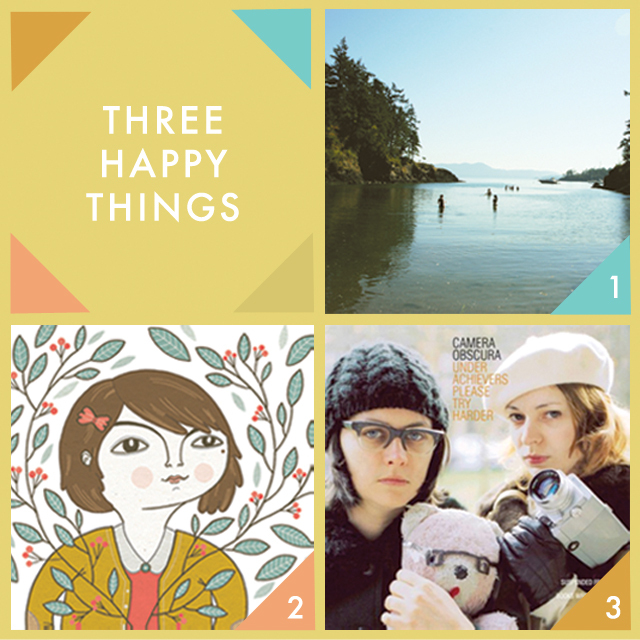 I just found out that one of my favorite bands, Camera Obscura, is releasing an album and going on tour! I was so excited that it made my stomach hurt, haha. I immediately bought tickets for their Seattle show. So excited!!!! Here's a list of their tour dates! 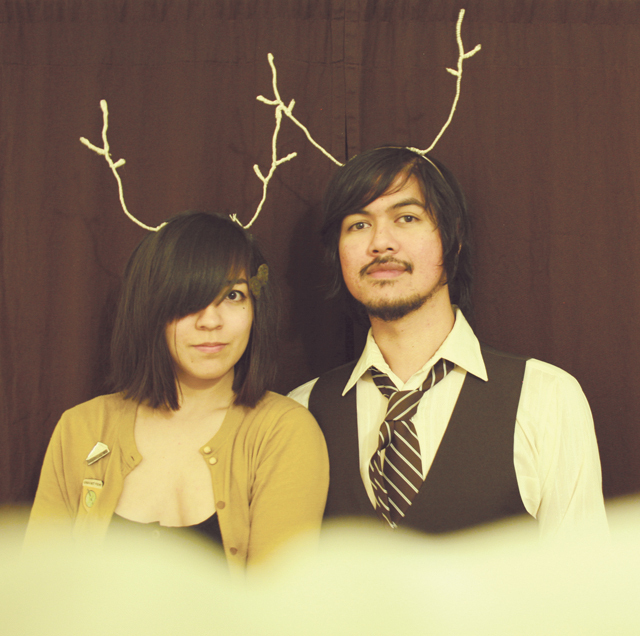 We went to see Maps + Atlases last night - it was great! 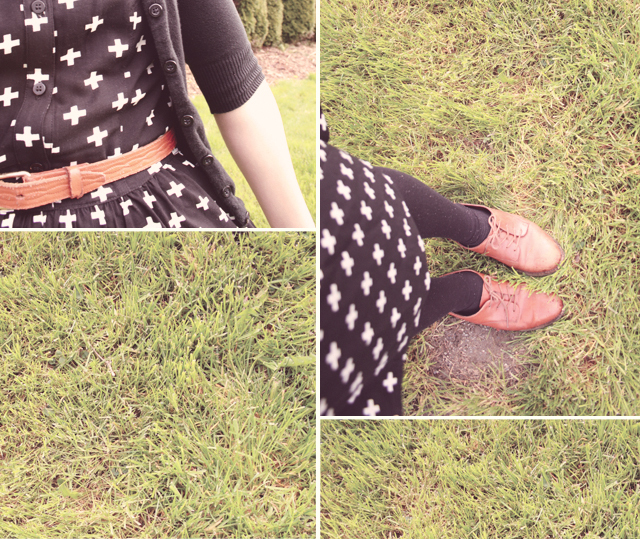 I thought it would be fitting to wear my plus-sign print dress to see a somewhat math-rock sorta band. It was such a small, warm little show, and they played the perfect mix of old and new songs. Also, I drank lots of chai-infused whiskey and danced until my body hurt, haha. I don't know if it was the chai whiskey (it was) but I started to feel all giddy and one-with-everything. I started thinking about how crazy it is just to EXIST at all, and how silly it is to spend any of this time we have worrying (I worry lots) or being self-conscious. So I danced like mad & conversed with as many strangers as I could. It's like a natural physical reaction to music, dancing. So when you're at a show, and nobody's dancing, it's like, why are you all restraining yourselves? dance! It's good for you. 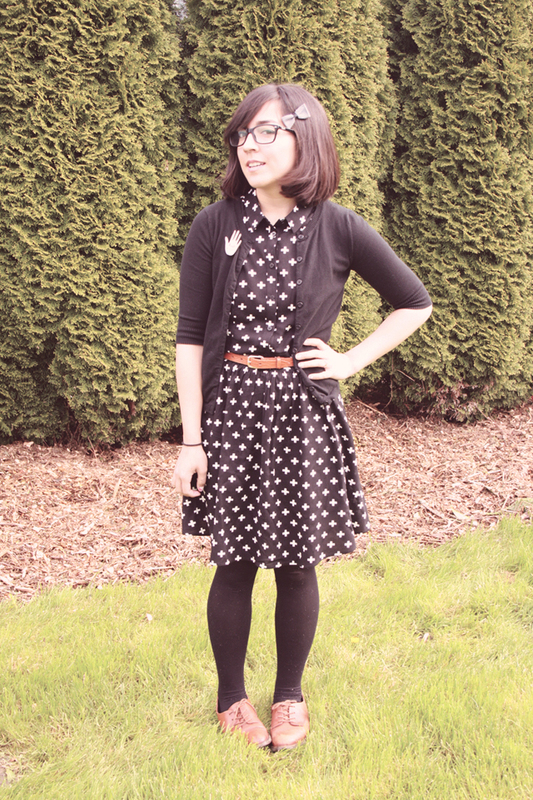 I have had an obsession with shirt dresses lately. Also, I decided to keep my high five brooch, because I'm in love with it. I'll make more for the shop, but for now, this baby's all mine. 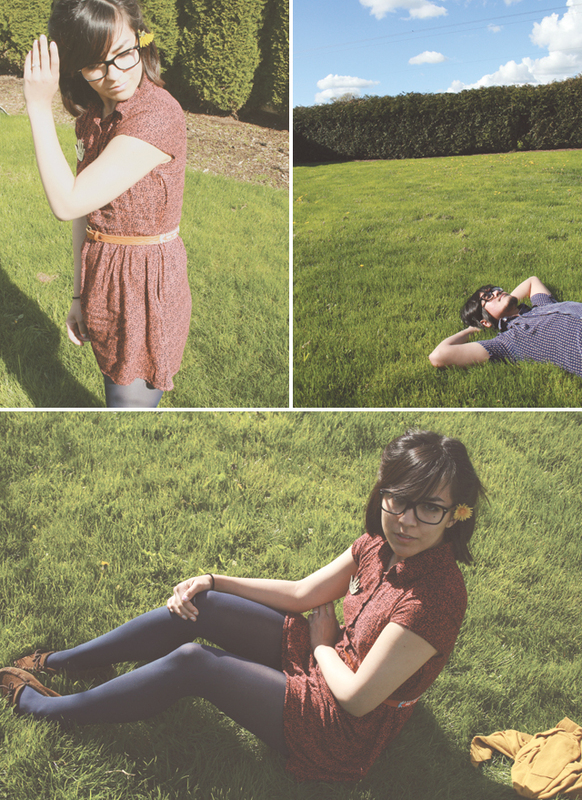 In other news, I laid in the grass today, for the first time in years. I'm usually too scared of this worst-case-scenario that I might happen to lay down on an angry wasp, or a poisonous spider, but today, I laid in the grass and conquered my fear! Or, rather, suspended my fear. for like a minute. Also, I am so full of Filipino baked goods and milk tea right now. I am a happy girl. Now I'm gonna go read & fall asleep. PS: meditating is good for you. Franklin and I decided that we want to start documenting all our trips and adventures by recording video footage and collecting bits of things from that area (like dirt, leaves, etc). 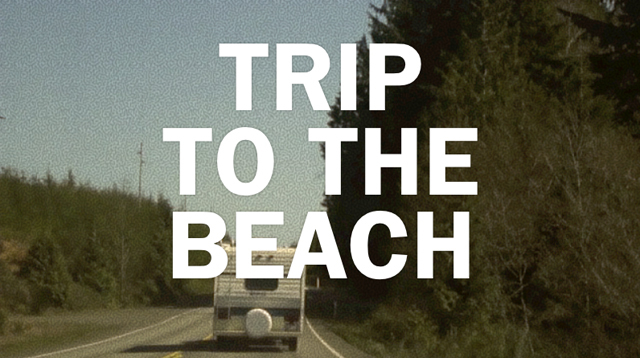 Last week, we went on our first [documented] adventure: We went to the beach. We scooped up some sand, and found some pretty rocks that caught our eye, and found a twig that had been weathered to the point that it felt all light & papery-weird, and not very twig-like at all. 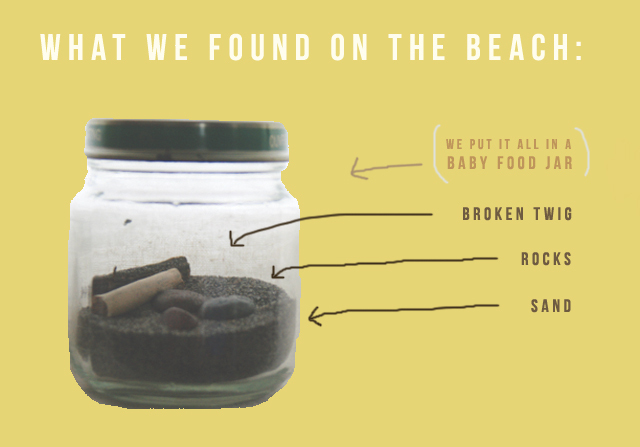 We decided that we wanna keep all our adventure specimens in baby food jars. I think I might paint the lids all different colors, and maybe build a special shelf to keep them on. Right now, this is all we have, but we hope to continue documenting our adventures like this, indefinitely. The only thing I wonder about, is what sort of things we'd collect in a big city sort of adventure. Sidewalk gum? haha. I don't even know. We'll see when we get there, I suppose. We tried to give it the feel of an old home video from the 60s or 70s. I added a cheesy film grain effect, and changed the speed, to make it feel more awkward and choppy - like an old super 8 home movie. The widescreen aspect detracts from that feeling, haha, but it was the best I could do with what I had! Speaking of which, Franklin and I found an old Kodak brownie 8mm movie camera at the thrift store a few weeks ago, and we're so excited to use it! We just need to track down some film first.